Going to your local drag strip, road course, or rally stage is a great way to see the coolest cars on the planet. But more than that, it’s a great way to see some really cute dogs. 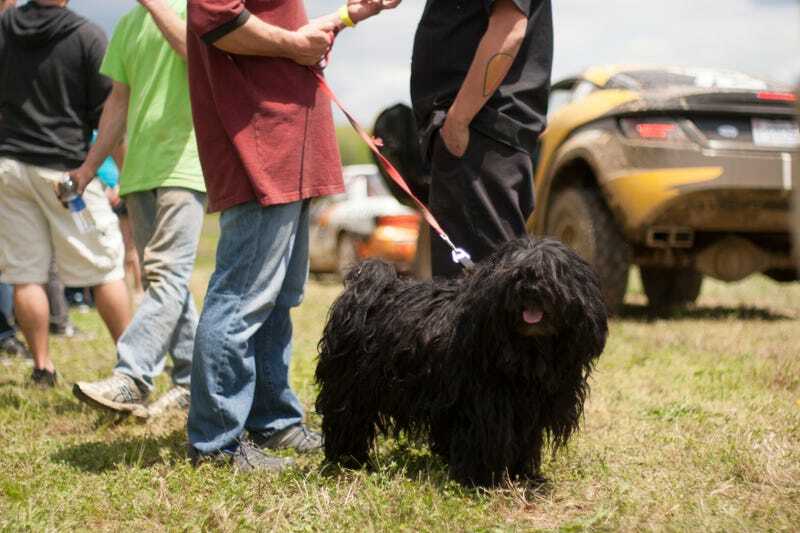 Marcel Ciascai is a prominent feature in the east coast rally scene, almost as much as much as his Hungarian Puli named Golf, pictured above. Marcel rescued Golf from abuse and near-death back in Europe and imported him to the States. He’s now a very cheery subject, stout and healthy. That’s not exactly fur so much as thick coat of hair. It doesn’t trigger dog allergies and it almost turns into dreds around his neck. If you see him floating up to you at a rally, give him a scratch for me. You probably (wrongly) think there’s a sweeter, cuter dog in your motorsports community. Post a picture and a story below.